After thirty years, the Travel Agents Association of India (TAAI) is holding its 64th Annual Convention in Srinagar. This is the apex body of Travel Agents throughout India and holding of its Annual Convention in some Tourist Destination always gives a big boost to the Destination. Kashmir needs no publicity or promotion as it has always been known as the Paradise on Earth. However, in the present context the more important requirement than promotion of the destination is its availability for tourists. Unfortunately, certain sections of the media highly communalised and prejudiced have painted a very discouraging picture which makes potential tourists hesitant in coming here. There could be no better message than the holding of TAAI Convention in Srinagar. The Department of Tourism needs to be given a pat for arranging this timely event. In fact, Tourists have not stopped coming here at all in spite of negative propaganda. 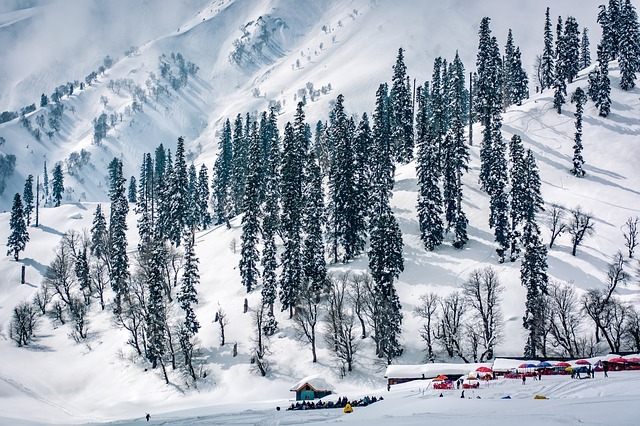 Gulmarg Hotels were full during the peak of winter. The groups from South East Asia have been coming non-stop throughout winter. Tourists have not faced any problem anywhere during their travel in Kashmir. Over the years one has got used to off and on minor troubles and in fact the local people have learnt to live with. There is no comparison to the hospitality extended by Kashmiris to Tourists including Pilgrims to Amarnath Shrine. The ideal way to correct the negative image is to hold similar events on a regular basis so that people know it is safe to travel in Kashmir. The worst period scene by the Tourism sector was the nineties of the last century when the situation was the worst ever. However, even in those days Tourists kept on coming here. The South East Asian groups did not stop throughout the nineties. Heli-Skiing by the famous French Heli-Skier Sylvain Saudan carried on all through those years. The most important thing is to convey the correct picture of the events occurring from time to time. In nineties, the local media giving out news about happenings here had committed to Tourism Department that they would convey exact location of any untoward incident so that people know the real situation. They would usually give the location of the place of any incident in terms of its distance and direction from Srinagar. For instance if there was any problem in Sopore, they would say that an incident took place in Sopore, 50 kilometres North of Srinagar. This would convey that there was no problem in Srinagar and other places like various Tourist resorts of Gulmarg, Pahalgam, and Sonamarg and so on.Let us hope the Department of Tourism is able to interact with the media and convince them on this account again. The other important requirement is to convince ruling politicians not to use Tourism as a barometer of political normalcy. There are many places in the world known as trouble spots but the tourists have never stopped going there. The typical example is Jerusalem and Tel Aviv. In spite of continuous problems, tourists have never stopped going there! The reason is that the politicians there never use Tourism as a barometer of Political Normalcy. No one comes on TV or goes to the press stating that the situation is normal because tourists are coming there! Here, the reverse happens. No sooner tourists start coming here; people go berserk in claiming that because tourists are coming here so everything is normal in Kashmir. Then a small incident blown out of proportion by the biased communal media shatters the whole image! Apart from the News Media, the Tourism Department needs to arrange familiarisation tours of the Travel Media. During nineties of the last century the travel media was being continuously invited and taken round all destinations in Kashmir, Ladakh and Jammu. For planning travel, people prefer to go by the travel media rather than general News Media especially when some of it is totally biased and prejudiced about Kashmir. In addition, the Tourism Department needs to arrange live telecast through some top TV channels of some important tourism events such as the opening of the Tulip Garden, Winter Sports Competitions in Gulmarg and so on. Even though it may be expensive but it is worth doing that to keep people abreast of the Tourism situation. Another important step to keep the tourism flow on is to fully cultivate the South East Asian Market. The ideal way for this would be to start direct charters from there to Srinagar. These could be from Bangkok, Kuala Lumpur, Singapore and so on. In fact, some decades back Air India had started a service from Singapore to Srinagar with one hour stop in Delhi for immigration formalities. The service was later on discontinued like the Srinagar-Dubai service which was started a decade back and then abruptly stopped only after six months of operation. Let us hope the convention gives a boost to tourism and Kashmir regains its position in the world travel market.